This lovely necklace was made by the Brazilian jewellers H Stern. 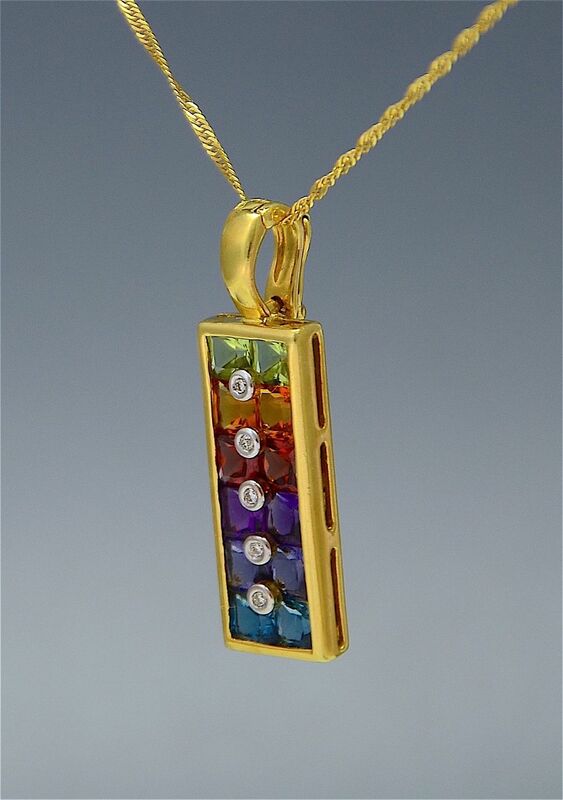 Made in 18ct yellow gold the pendant is rectangular with a fixed enhancer loop that is hinged at the top and opens so that it can be worn on a thick chain or a string of pearls. 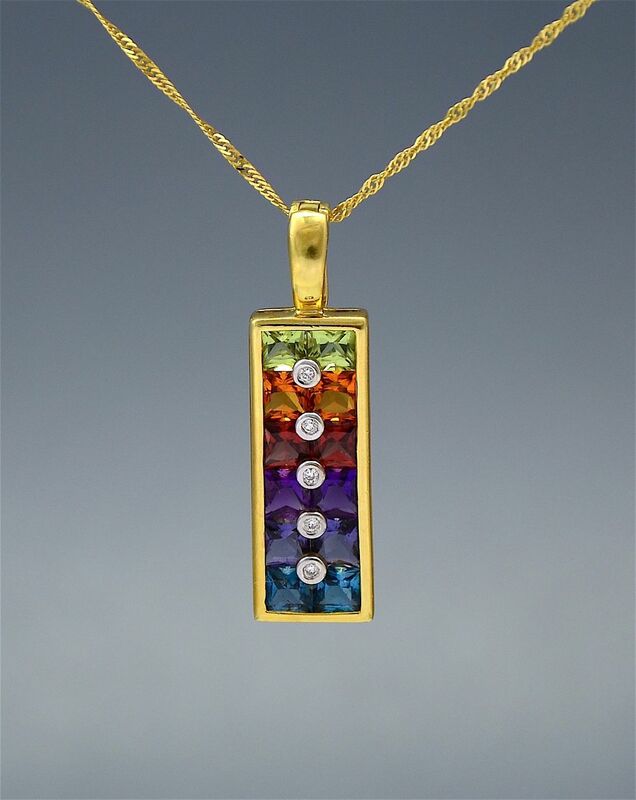 The pendant is invisibly set with 6 rows of square coloured gemstones there being a pair of gemstones in each row. In the top row are 2 peridots followed by 2 citirines, 2 garnets, 2 amethysts, 2 isolates and finally 2 topaz. Each row is separated by a round diamond set in an 18ct white gold rubover setting. The pendant hangs on a fine 18ct yellow gold chain.